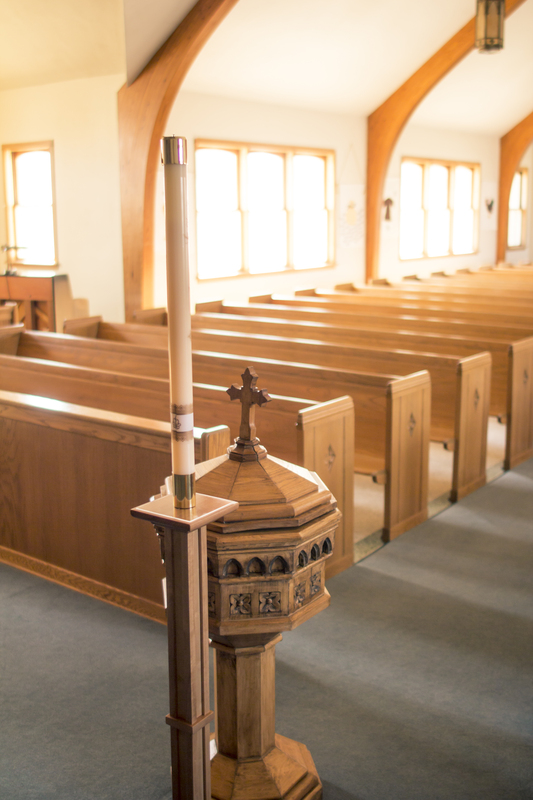 What Is a Paschal Candle? 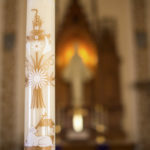 You are here: Home / News / What Is a Paschal Candle? 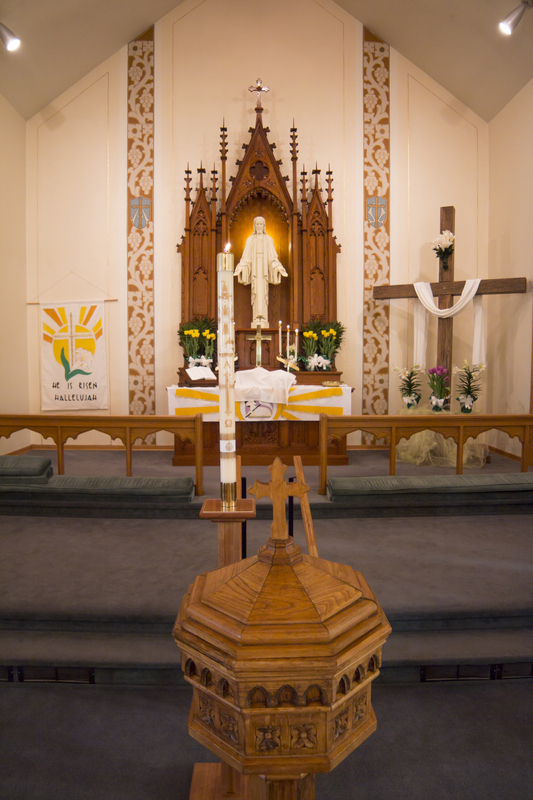 Faith has a new Paschal Candle. 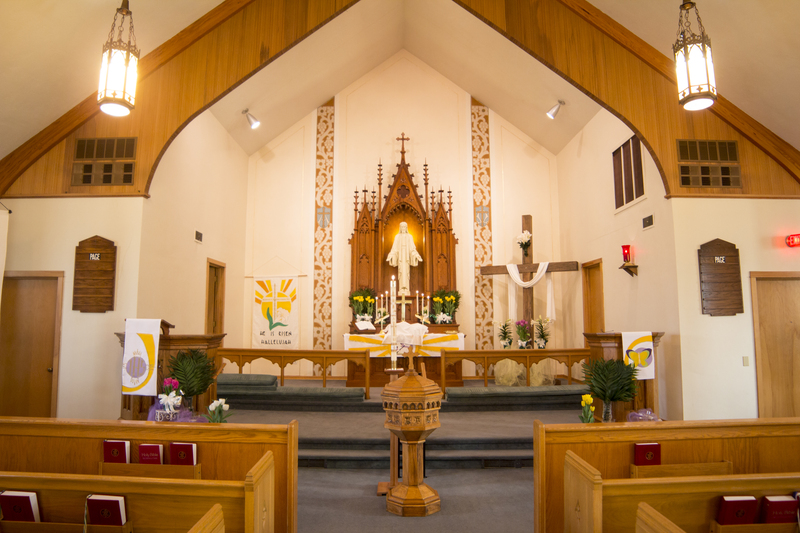 It was dedicated and lit for the first time on Easter Sunday. It is in memory of Dorothy Harding. 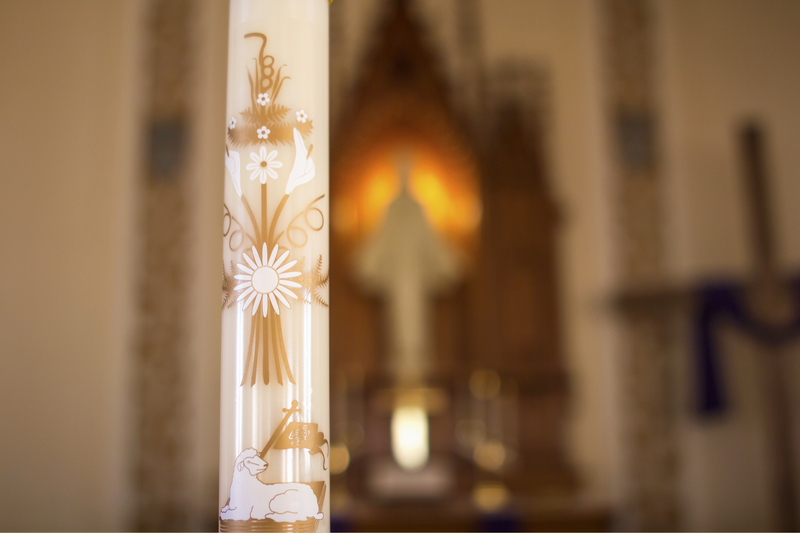 Just as the candles of the Advent Wreath bring wonderful meaning to the celebration of Advent, so the Paschal Candle is intended to add meaningful symbolism to our celebration of Easter, Baptisms, and Christian funerals. It actually predates the Advent Wreath by over a thousand years (it was first used only 300 years after Christ)! 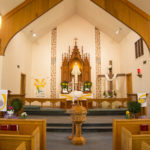 The Paschal Candle is a special candle used at every service during the Easter season (from the Easter Vigil to Ascension) and at Baptisms and Christian Funerals year-round. 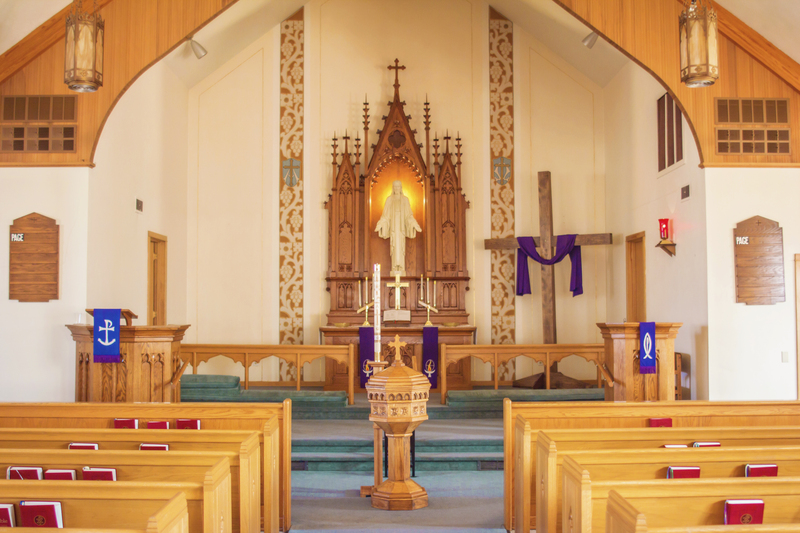 The name Paschal comes from the Greek, pascha. 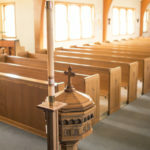 Before the time of Christ, this word was used for Passover; after Christ, Christians took to using the word when referring to the Festival of the Resurrection (The term Easter came into use in later centuries). 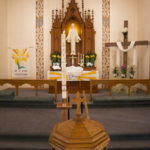 On the Paschal Candle are a variety of symbols, usually a depiction of the Jesus as the Sacrificial Lamb of God, a cross, the means by which we are saved through our baptisms; and two Greek letters, an Alpha [Α] and an Omega [Ω], which remind us of Jesus’ words in St. John’s Revelation (1:8; 22:13), that He is the Beginning and the End. 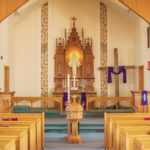 The Paschal Candle traditionally stands near the Baptismal Font to visually connect Baptism with the resurrection, proclaiming the message of Romans 6:3-5 (which is also used at the beginning of a burial service): In our Baptism we have already died and been raised with Christ.